From Bryon Bay in the east to Broome in the west, getting around Australia is easy. Fly Qantas to Australia, and then take advantage of our Qantas Explorer fares to save on domestic flights throughout this great country. There are over 80 routes to get you to more than 30 destinations. To work out where you can fly between, and get an idea of the cost of each flight, we've divided each route into zones. The amount for the surcharges, fees and taxes will be calculated once you've made your booking, as these will vary depending on your departure and destination points. Flights are operated by Qantas, Jetstar, Airnorth or are on QantasLink (operated by National Jet Systems, Sunstate Airlines, Eastern Australian Airways and Southern Australian Airlines). If your journey takes you a little further, and you land in New Zealand, you will have the opportunity to take advantage of our Explorer fares, and save on domestic flights around New Zealand. Whether you want to hit the slopes of Queenstown or explore the historic elegance of Christchurch, visiting the corners of this extraordinary country is a must-do. The domestic flights available around New Zealand are listed below. The amount for the surcharges, fees and taxes will be calculated once you've made your booking, as these will vary depending on your departure and destination points. Flights are operated by Jetstar or Eastern Australian Airways. Depending on whether you are exploring the great continent of Australia, or experiencing all New Zealand has to offer, there are a few ways to book your Qantas Explorer fares. 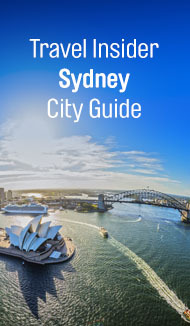 If you are planning on flying into Australia, you can simply create your entire itinerary and book all your flights at once by choosing the multi-city option when making your Qantas international flight booking. Then pack your bags and get ready to go. Already booked your international flights to Australia, or need a little bit more time to decide? Sign in to your international booking from the Manage Your Booking page with your booking reference or sign in to your Qantas Frequent Flyer bookings. If your adventure takes you further across the Tasman, and your international flight is into New Zealand, you can simply create your entire itinerary and book all your flights at once by chooseing the multi-city option when making your Qantas international flight booking and include your domestic New Zealand flights. *Qantas Explorer fares must be booked in conjunction with a Qantas return international fare to Australia or New Zealand, and have the same validity as your international ticket. Savings are based on a comparison with the year-round fare. At times, there may be sale fares available which may be cheaper than the Qantas Explorer fare for that routing. ^Prices based on payment at qantas.com. Prices exclude carrier surcharges, fees and taxes, which will vary depending on your departure and destination points. For bookings made through Qantas Telephone Sales a fee of €25 per person applies. Prices may fluctuate if taxes or foreign exchange rate change. Fares may not be available on all flights or days. Some flights are operated by partner or subsidiary airlines. Additional airport taxes and fees may be required for alternative routings. Offer is subject to availability at time of booking.